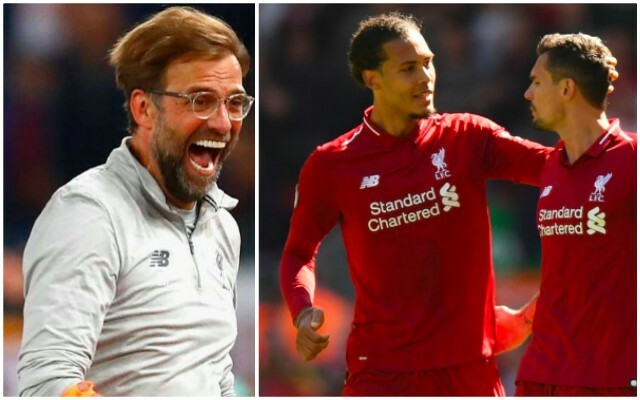 It looks like Jurgen Klopp will be able to field Virgil van Dijk against Leicester City tomorrow night. James Pearce had claimed that our Dutch defender had been suffering with an illness, but that if he trained today, he’d be in contention, and during Klopp’s press-conference, the manager confirmed that van Dijk will partake in the afternoon Melwood session. “Virgil was a bit ill but he should train today and then we will see. Gini trained, Fabinho will train today. Trent getting closer and closer but not available,” he said. For us, van Dijk is a must to start every game he’s available for until the end of the campaign. Dejan Lovren and Joel Matip are both fit now, but while they’re both capable of good performances, they can easily throw in a stinker that can cost us points. Van Dijk is the team’s true leader from defence and his presence will be crucial if we’re to get past Leicester, who have always caused us problems with Jamie Vardy up top. We reckon he’s a certainty to start now, meaning one of Matip or Lovren will play alongside and Fabinho will likely be a right-back.